I offer note cards, 4.25 x 5.5 inches, and greeting cards, 5.5 x 8.5 inches, for sale individually, in various packaged selections,and in build your own collections. Normally, I only sell individual cards in person or through local retailers and not on line. I personally print all the cards on the same Epson 3800 printer I use for my fine art prints, and I use heavy, art quality paper stocks in either matte or glossy surfaces. Each card comes with an envelope, and I include an extra envelope in the the prepackaged and build your own collections. 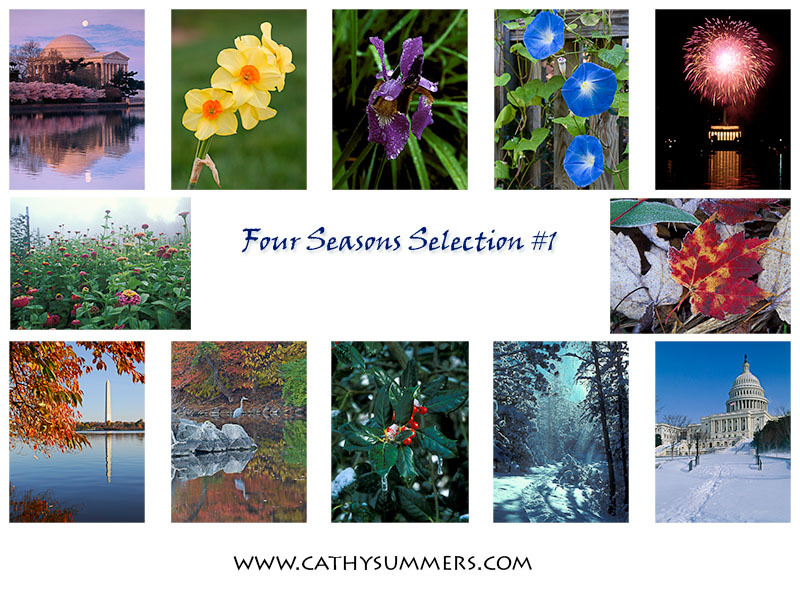 Four Seasons Selection #1 contains 12 cards with 3 unique cards from each of the 4 seasons. 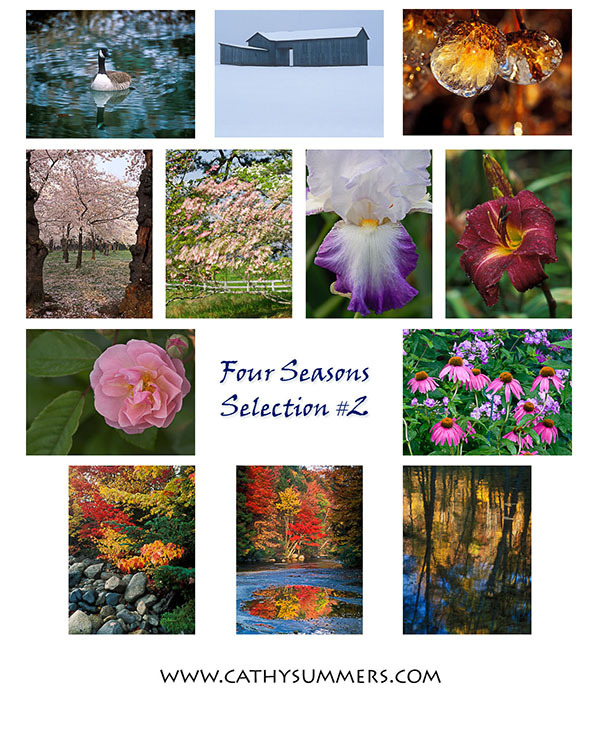 Four Seasons Selection #2 contains 12 cards with 3 different cards from each of the 4 seasons. 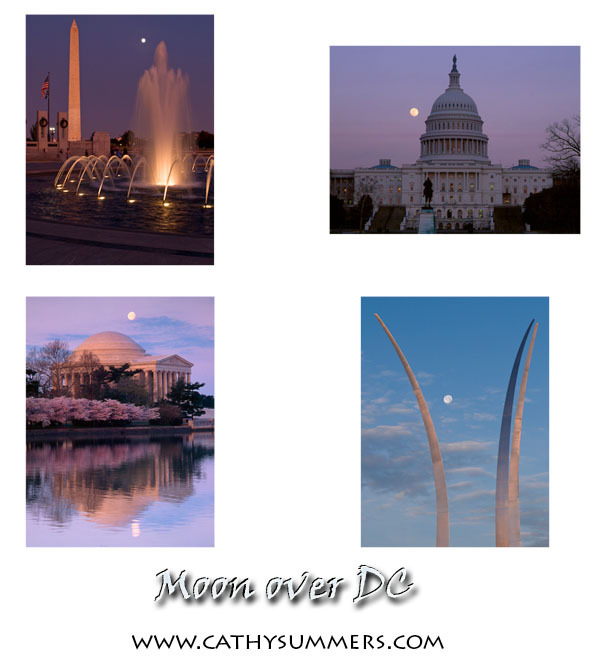 Moon Over DC contains 8 cards with 2 cards of each image. 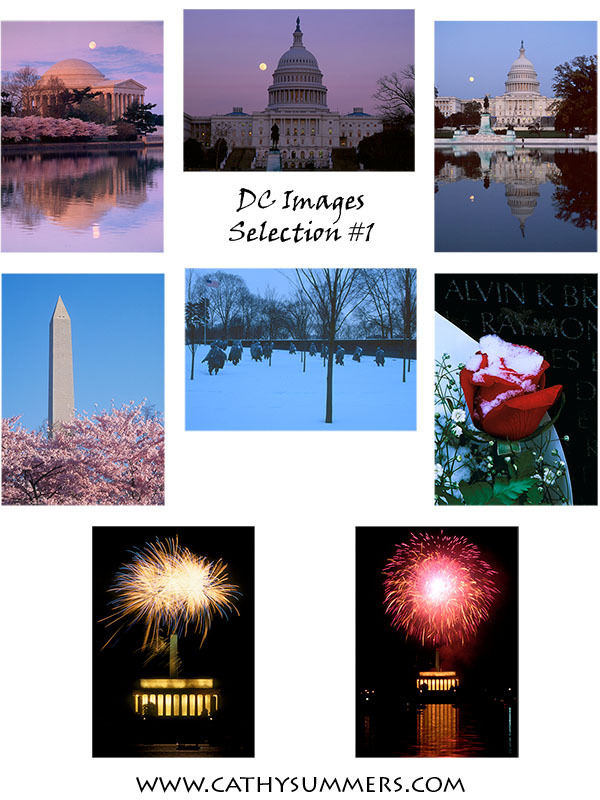 DC Selection #1 contains 8 cards with 1 card of each image. 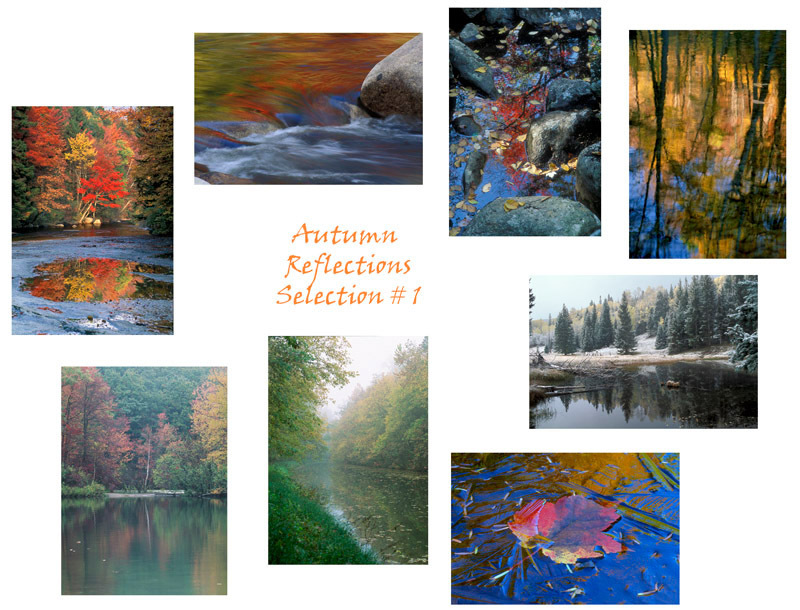 Autumn Reflections #1 contains 8 cards with 1 card of each image. 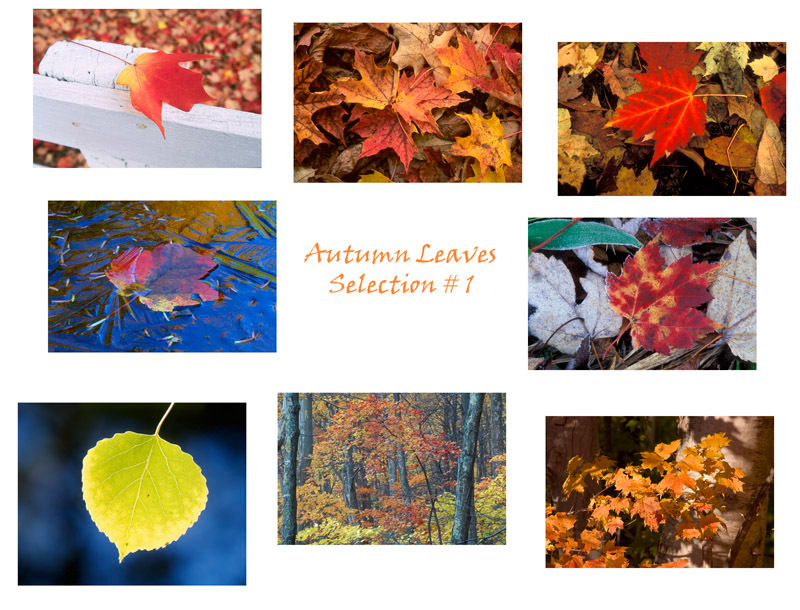 Autumn Leaves Collection #1 contains 8 cards with 1 card of each image. 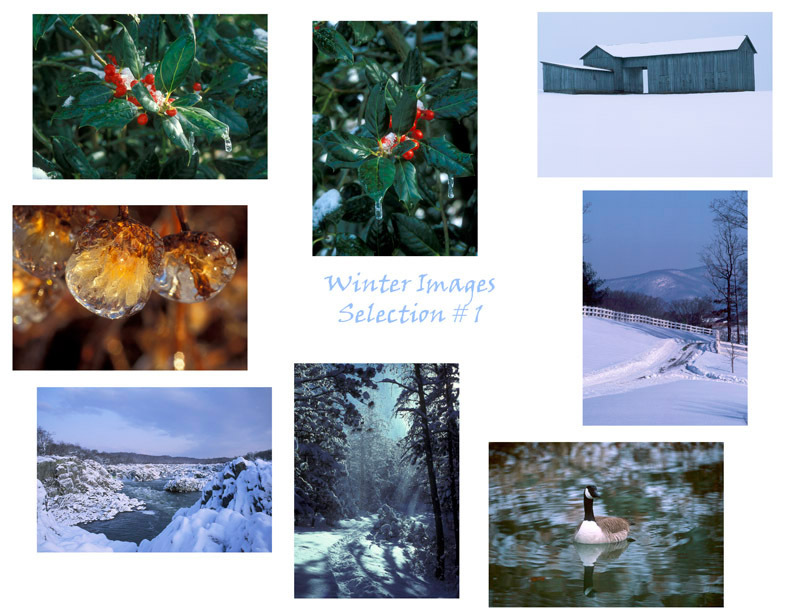 Winter Selection #1 contains 8 cards with 1 card of each image. 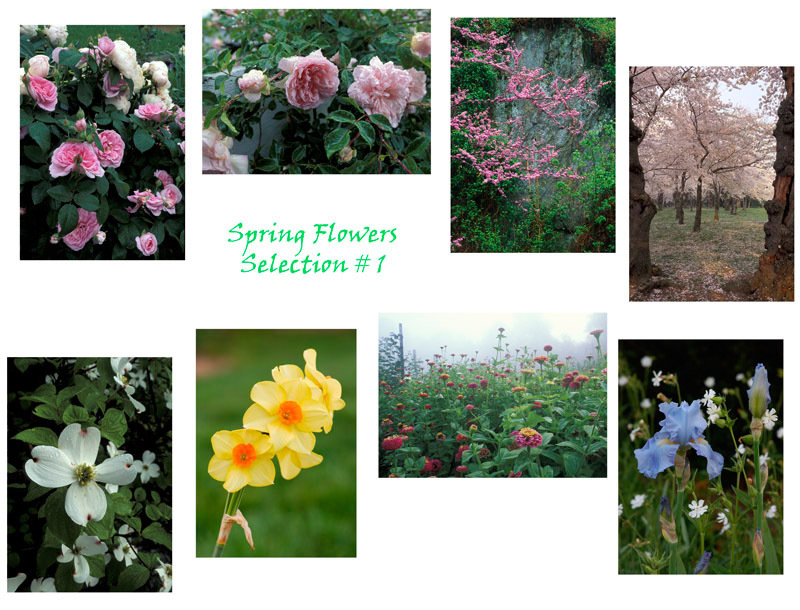 Spring Flowers - Selection #1 contains 8 cards with 1 card of each image. 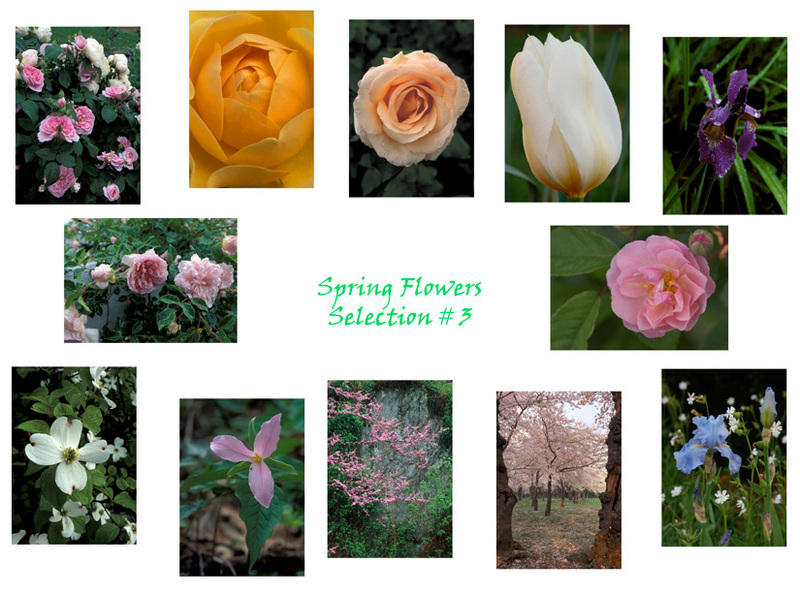 Spring Flowers - Selection #3 contains 12 cards with 1 card of each image. 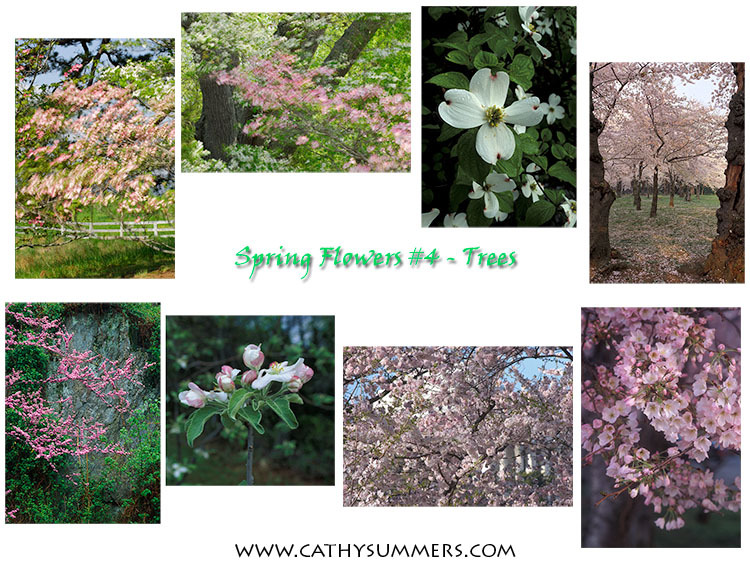 Spring Flowers # 4 - Trees contains 8 cards with 1 card of each image. 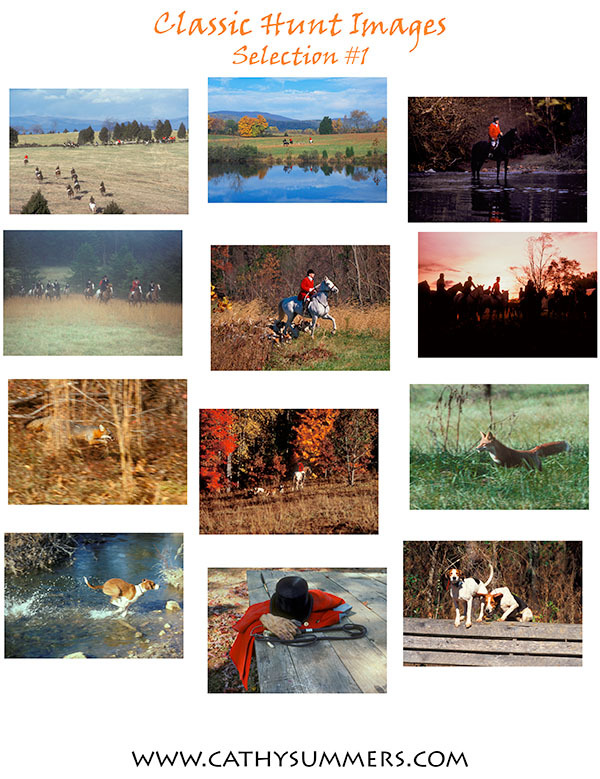 Classic Fox Hunting Images contains 12 cards with 1 card of each image. 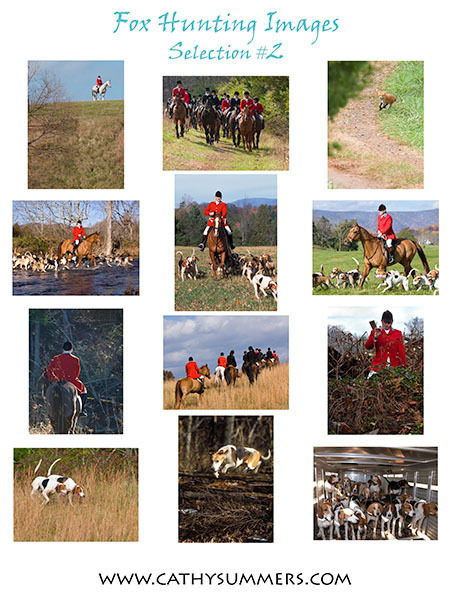 Fox Hunting Images, Selection # 2 contains 12 cards with 1 card of each image. 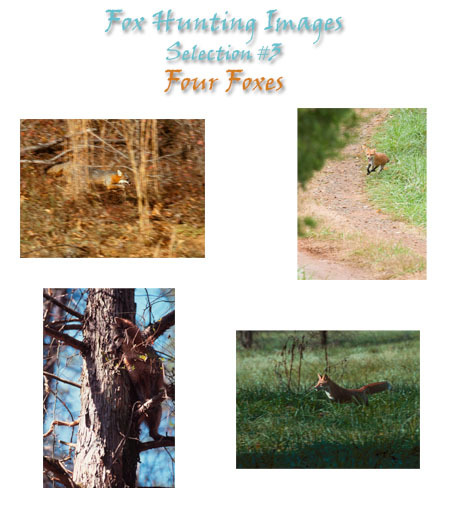 Fox Hunting Images, Selection #3, Four Foxes contains 8 cards with 2 cards of each image. 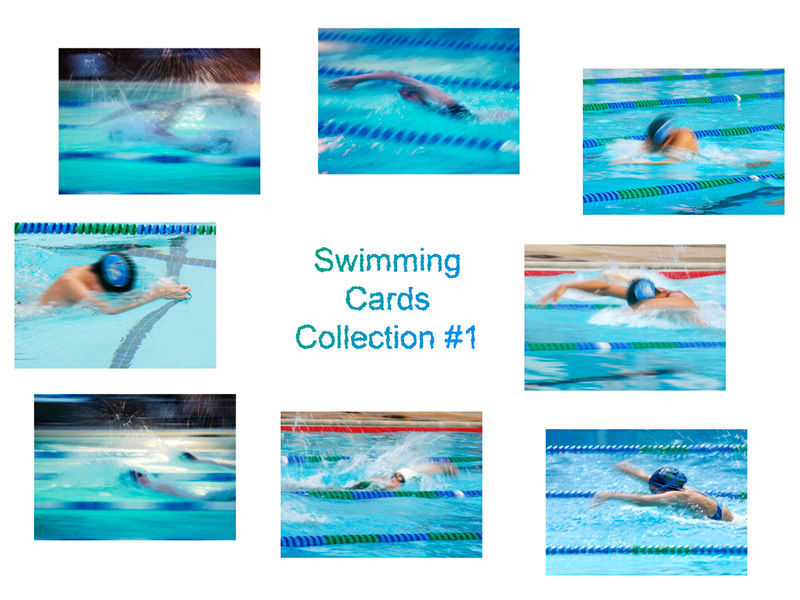 Swimmers - Collection 1 contains 8 cards with 1 card of each image. 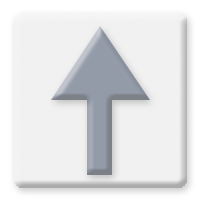 Registered users can build their own collection of images here on the web site, and use those collections to order note or greeting cards. Once you have selected the images for your note card collection, send me an email or give me a call to specify how many copies you want. Call me to place your order over the phone or to use a credit card. Contact me for quotes on custom greetings printed on the inside of the cards or for large quantities of a single or few images. 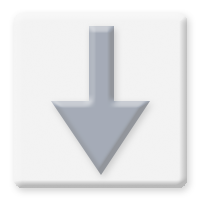 I know that buying individual cards online doesn"t make a lot of sense. If you live in Northern Virginia, please give me a call or send me an email if you would like to stop by to look through the cards. Check back here to see if I add other retail outlets, and certainly feel free to contact me if your are interested in selling my cards or know of a good venue.